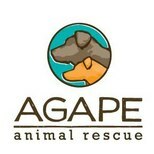 Agape Animal Rescue is dedicated to finding forever homes for abandoned and displaced dogs while educating the public to be more responsible pet owners. Since 2004, Bonaparte’s Retreat has been saving Nashville’s shelter dogs. Founded by Grammy-winning singer/songwriter Emmylou Harris, we are a small, foster-based 501(c)3 nonprofit dog rescue group dedicated to providing nurturing care for dogs when their allotted time at a shelter has elapsed. Our focus is on rescuing the shelter dogs often overlooked or deemed unadoptable—senior dogs, large dogs, special needs dogs, or dogs in need of imminent medical care or surgery. Our mission is to prevent these wonderful animals from being euthanized and to place them into permanent, loving homes. Mission: To improve the welfare of animals in our communities through rescue, spay/neuter, education and awareness through direct and compassionate action, and to inspire the highest ethical standards of humanity towards animals. Mission: To transform lives by giving individuals who face poverty and homelessness the opportunity to care for homeless animals. Mission: To save dogs from high-kill shelters where they would otherwise be euthanized. Mission: To advocate and care for special needs senior horses and cats that require permanent sanctuary setting and are not afforded adequate care if left in their current situation. Mission: We strive to feed the hungry, care for the suffering, provide shelter for the homeless, help those who can't help themselves, and educate those around us to do the same. Mission: Foster Dogs Inc. is the leading organization in creating positive, inclusive foster communities by providing support, experience, and innovative programs. Mission: To support Families in breaking the silence of suffering for chained dogs. Mission: To advance the well-being of Donelson’s people, pets, neighborhoods, community organizations and nonprofit organizations through education and service. The Hip D Lost and Found arm connects hip people in Donelson with their Lost or Found pets. Mission: Develop Metro Nashville Davidson County as a premier companion animal resource community, committed to promoting the animal-human bond and nurturing relationships with companion animals which are guided by compassion and the engagement hearts, hands, and minds of the community. Mission: To provide medical care, temperament evaluation, rehabilitation, training and placement of German Shepherd Dogs and other herding/working breeds. Nashville Cat Rescue's mission is to rescue cats and kittens from shelters and the streets of middle Tennessee and adopt them into loving homes. Nashville Humane Association is committed to finding responsible homes, controlling pet overpopulation and promoting the humane treatment of animals. We believe that no dog should suffer the injustice of discrimination, neglect, or abuse. To that end, Nashville PITTIE works to restore the Pit bull's positive image, through education, promoting responsible ownership, and spay/neuter programs. In doing so, Nashville PITTIE will bring to light the true character of the Pit Bull, and the invaluable contributions they make as family pets and service companions, as they have for generations. Mission: To rescue unwanted animals and offer care through our Noah's Ark Society foster families, to offer pet placement programs, to educate this generation and future generations about spay and neutering necessity, to offer wildlife rehabilitation and reintroduction, and to be a voice in animal cruelty legislation. Mission: To provide a loving home, good food, high quality vet care, compassion and comfort to senior dogs for the remainder of their lives. To build a Forever Foster Home network to enable us to place more senior dogs in loving, home settings for the duration of their lives. To provide education on the joys and challenge of caring for aging dogs. To work with other dog rescue groups to promote the adoption of senior dogs. Proverbs 12:10 Animal Rescue is committed to 'Helping His Helpless' through quality care and healing, adoptions, and population control awareness. Mission: to help alleviate the pressures put upon area shelters and their euthanasia rates by pulling dogs at risk into our program, placing them in foster homes, and preparing them both physically and emotionally for their forever homes. We are an all breed rescue and do not discriminate against size, breed, age, or physical condition. Though we bring in a vast variety of dogs in need, our passion is taking in seniors, special needs, medical needs, and hospice.